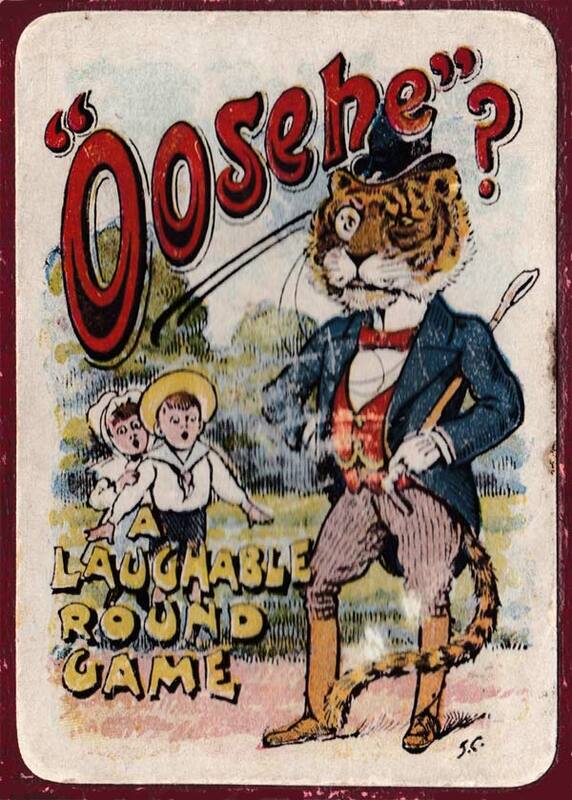 This was one of the last games published by Woolley & Co as they were dissolved around 1905. 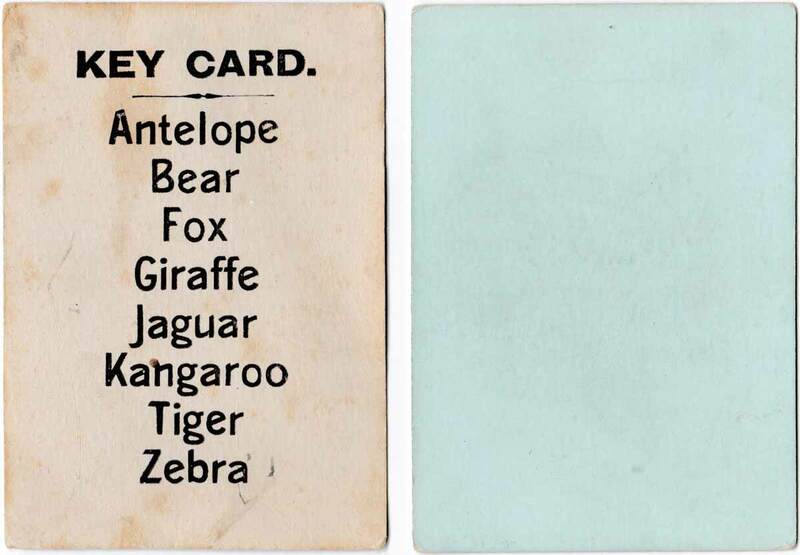 There was a version with square corners and also an edition with rounded corners and a decorative back design. Whilst Woolley & Co’s Funny Families, Old Maid and Street Cries Snap were taken over by Roberts Brothers Ltd (the Glevum series), Sefite and Ooshe were dropped. Roberts Brothers were in turn taken over by Chad Valley in 1954. 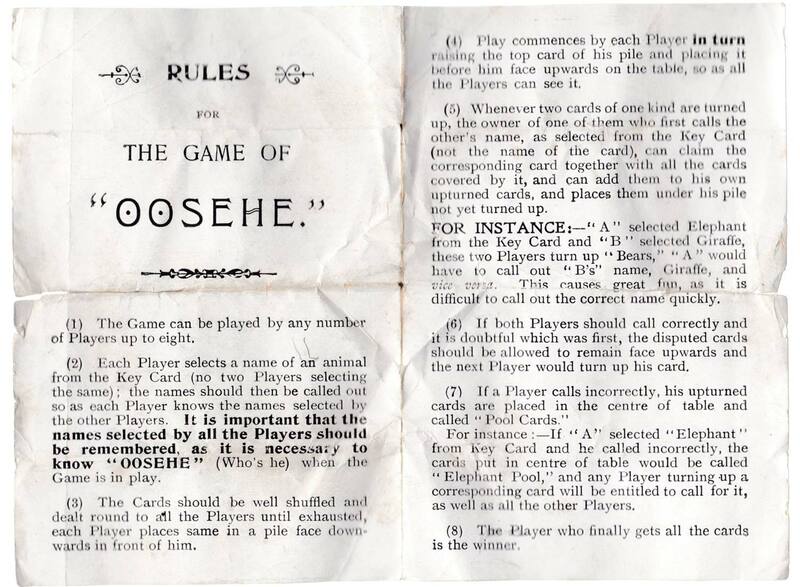 Above: ‘Oosehe’ published by Woolley & Co, c.1900. 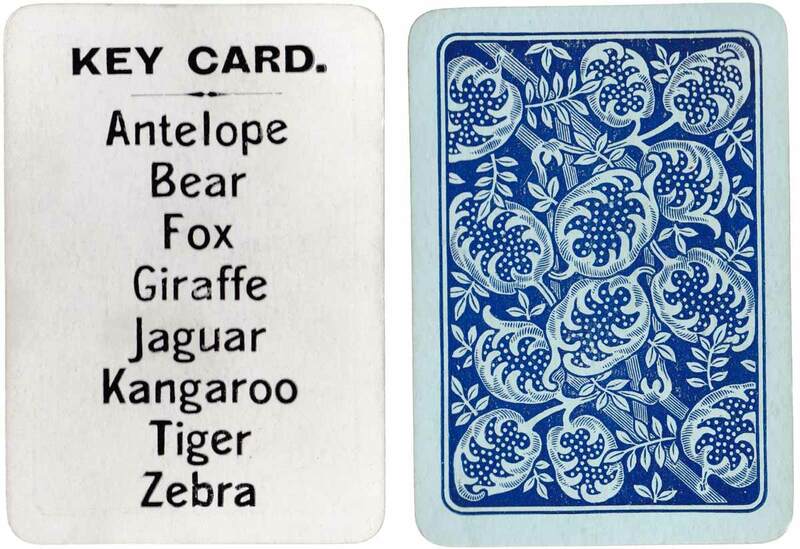 There was a version with square corners and also an edition with rounded corners and a decorative back design. Images courtesy Rex Pitts.